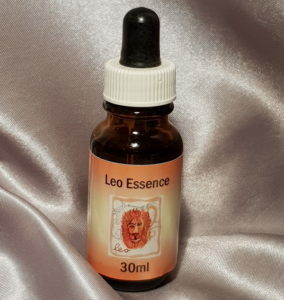 Leo Essence is the fifth in our Star Sign Range. Also the fifth sign of the Zodiac Leo The Lion (24th July – 23rd August) has its basis in the lion’s mane. The King of Beasts symbolises the regal nature of the sign. Leo is the sign of pure ambition, organisation and control. Leo’s enjoy the limelight but they need to be admired as they aim for the top. They can be vain and domineering. Leo’s warm benevolence and good nature can bring sunshine into other people’s lives. They are a highly creative spirit. Autocratic and unbending, Leo needs to recognise the responsibility of holding power. The karmic challenge is to become personally empowered rather than to enjoy power over others. Leo matches easily with Sagittarius and Aries and gets along well with Libra and Gemini.